Freeform series' Spencer Hastings clues us in on what's to come in the second half of the final season. When Pretty Little Liars returns for its final 10 episodes, the show picks right back up where it left off, with Spencer Hastings (Troian Bellisario) having been shot and also learning that she may be the biological daughter of the mysterious Mary Drake (Andrea Parker). But the hospital may be a chance for Spencer to reconnect with her former flame, even if it’s just as friends. “The problem is: not only is Toby in the hospital, but so is [his fiancé Yvonne], and when you’re in love with someone, your heart goes to them first. So even though Spencer and Toby may have some time together because they’re both recovering, I don’t necessarily think that it means anything for them romantically. Spencer’s going to have to learn how to be there for Toby more as a friend,” Bellisario said. After the heartbreak with Caleb (Tyler Blackburn) and Toby moving on with Yvonne (Kara Royster), it may be time for Spencer to just be single for a while, she said. Part of Bellisario’s concern was that the show should be sending a message that it’s OK to be on your own. “Why don’t we have any characters on the show that are able to be single and be happy? Because otherwise what kind of message are we sending out? Like you have to be with someone, whether it be a man or a woman, in order to find happiness? What if Spencer took some time on her own to figure things out for herself? And, obviously, there’s a lot of drama going on with her family,” Bellisario said. Speaking of the Hastings family, we saw that Spencer is not the kind of person to shy away from confrontation, so what kind of fireworks can viewers look forward to regarding Spencer’s parentage and confronting the parents she always believed to be her biological mother and father? 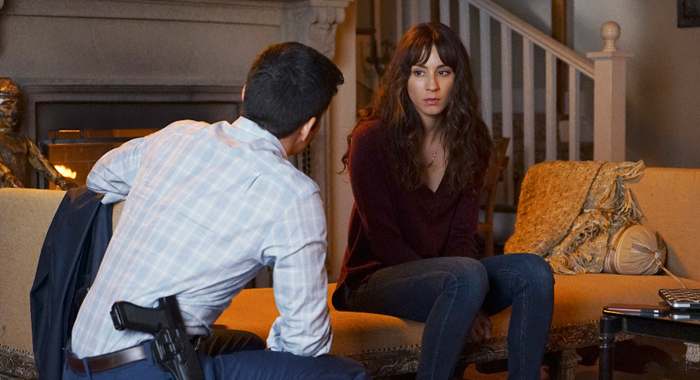 And those aren’t the only Hastings family members Spencer is going to be dealing with. Torrey DeVitto is returning as Spencer’s older sister Melissa for at least part of the final episodes, and Bellisario says it was so great they were able to spare her on her current show, Chicago Med, so that she could come play with the Pretty Little Liars one last time. Another familiar face from Spencer’s past who comes popping up in season 7b is Wren (Julian Morris), Melissa’s ex-fiancé with whom Spencer was also romantically involved. When asked if perhaps the upcoming Spencer-Wren reunion is romantic in nature, Bellisario replied coyly, “Spencer can’t say single forever, I’ll say that,” but added that even though she can’t reveal under what context Wren returns, it was a great way to bring the show full circle. The episode Bellisario helmed is “In the Eye Abides the Heart,” the fourth of the final 10 episodes. 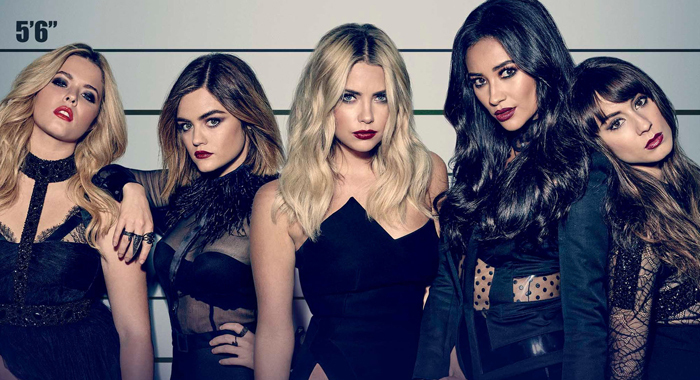 She can’t reveal too much about the plot, but she does tell us she worked extensively with Lucy Hale. So Bellisario has checked directing off her to-do list and next up is writing, producing, and starring in a movie. The film is titled Feed, which Bellisario wrote before Pretty Little Liars even began shooting eight years ago. Co-starring Tom Felton of the Harry Potter franchise, it chronicles a woman’s struggle with anorexia and is based on Bellisario’s own personal fight with that illness. “I sat down and I wrote a version of my own story. It’s not the exact events, but what I wanted to do with the film was get the audience to understand what it sounds like and what it feels like to be struggling with that illness,” Bellisario said. “I struggled with anorexia for many years and one of the most difficult things about that was it was very tough for me to explain to my family and friends why it was so hard for me to disengage with that. She reveals that she didn’t want to direct Feed because the role was so personal for her, but now that Pretty Little Liars has wrapped and Feed is being released, she would love to do more directing.